Once again it is I, Alex – your friendly neighborhood documentation specialist. Here in Canada our Thanksgiving has come and gone, but with so many U.S. customers and partners, we feel like we get to sit in on yours – which gives us the opportunity to be doubly grateful for all the good stuff Method enjoys year after year. Most notably, I’d like to take a moment to shamelessly shout out 9 apps and integrations for which we are thankful every day – whether they’re used in-house here at Method HQ or whether they provide added value to our customers and partners, we want to say a heartfelt THANK YOU! Gmail, Google’s ultimate answer to everyone’s email needs, has been around a fair few years now and it keeps getting better. And thanks to our powerful Gmail Gadget, you can combine the power of Method with Gmail’s easy-to-use interface. Open an email in Gmail and Method will display that contact’s CRM activities, QuickBooks transactions, balances, address, and more! Thanks Google! For companies that focus on professional services and consulting, sometimes you’ll want to keep track of engagements and paperwork unique to your field. That’s where NEXT comes in – by building on Method’s existing CRM power, NEXT allows you to track specific types of engagements, modify permissions, and create total accountability in your professional services staff. Adding value is what we’re all about at Method, so thanks to NEXT for giving us the tools to service multiple industries! Our field service customers glean a lot of value from SaaSphalt, the CRM add-on that features additional support for business owners in the paving, sealcoating and striping industries. From job costing to one-click invoicing, from production-based estimates to a full suite of customization tools, SaaSphalt really improves the Method experience for contractors on the go. Big ups to SaaSphalt! Workflow management for QuickBooks online! As QBO becomes more and more the premier version of QuickBooks used by small businesses, Aero is continuing to bring value to your Method experience. Especially for those businesses that are cloud-based or with a lot of remote staff, Aero is a web-based app that works with Method to allow you to monitor and reassign work, set up schedules, and integrate seamlessly with your CRM. Kudos to the good people at Aero for making workflows more flexible and streamlined! No matter how ubiquitous email becomes, it won’t replace a good old-fashioned phone call for many businesses. Wouldn’t it be great if your call display not only told you what client was calling, but also automatically brought up their customer information in Method at the same time? Enter You Rang – a QB Desktop add-on that matches an incoming call with a Method contact, can automatically bring up that customer’s information, and can even automatically create a “call incoming” activity within Method! Thanks for letting us call on you, You Rang! Almost every business can make use out of email blasts and mailing lists, and MailChimp makes it easy! Simple-to-use template builders, analytics tracking, a unique SMTP server and much more combines with Method’s CRM functionality to streamline your emailing for marketing campaigns and more. For those about to email, we salute you – and MailChimp! All your documents in one convenient location? Sounds like a filing dream come true, and our SmartVault plug-in delivers. Integrating both with Method and QuickBooks, SmartVault lets you scan, attach and otherwise locate documents throughout your Method and QuickBooks databases. It’s like having your own personal filing specialist, right at your fingertips! Thanks for making our paperwork easier to handle, SmartVault! And we’d be remiss if we didn’t mention what might be our most important integration of all – QuickBooks! 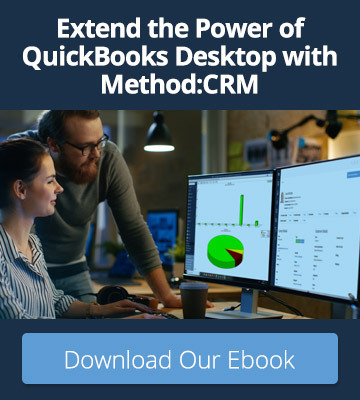 Ever since Method started, we’ve prided ourselves on our 1:1 patented sync engine that seamlessly lines up your existing QuickBooks records and lets Method’s powerful CRM tools add value to those records while streamlining your workflow and improving your productivity. 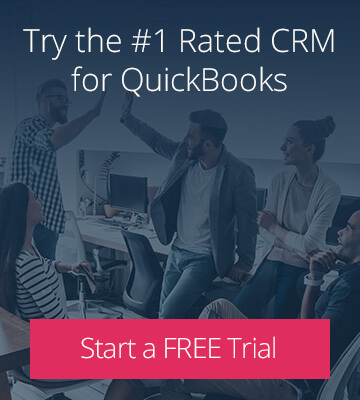 QuickBooks is a dominant force in modern accounting software and we’re proud (and thankful) to be able to integrate with them! That’s it for me, Methoders. Thanks for reading, and thanks for using Method (have you gotten that we’re a pretty thankful bunch yet?) Now go enjoy your festive meals and football!